Exegetical Worship | Wir sind bettler. Hoc est verum. 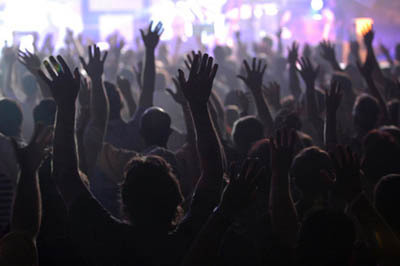 First let me start out with a few criteria that I think all Worship Songs ought to follow. 1) God / Jesus as primary subject – who we are singing too. 2)	Gospel focused as subject of praise to God. This list isn’t exhaustive, but I hope gives you some kind of glimpse into a basic criteria for good worship songs. Remember worship songs are about praising God for what He is and has done, not necessarily our enjoyment or for our feeling good (although true worship of God has those affects – they shouldn’t be the primary thing sought after in worship). Now I know that this article will be devoid of explicit Biblical references, perhaps I am being a little arrogant here, but I am assuming that these truths are self evident from Scripture (and commonsense / reason to the Christian mind) and require little to no defense, but if you completely disagree with my criteria listed here, please voice your concern and I can go into depth (I just wish to keep this article under book length if possible).My main point of this article is to discuss criteria 5, but let me give a quick overview of the other 4. Since God created the world, and rules it with a powerful and holy hand, we ought to praise Him for that and who He is. Considering our rebellion and subsequent condemnation for sin (our deserving of death), and God’s mercy to us by sending Jesus as a savior, He deserves all our praise. Human history, Scripture, and the meaning (and purpose) of our lives revolves around God, not ourselves – thus our reason to praise Him. Not only is He perfectly deserving of praise, but He has created us for the purpose and commands us to worship Him – thus we must do it. The reason the Gospel is central (God (The Father) sending Jesus (God the Son) to live, suffer, die, and be raised from the dead for the forgiveness of sins – accomplished within human history – in a human body on a bloody cross) is because it is the most important event in human history, and only hope of the human race to ever have a relationship with God that doesn’t involve wrath and judgment. The purpose of singing lyrics instead of humming music is because lyrics allow us to more fully express ourselves, and the truth. They teach us (and the other listeners) things about God, and why He ought to be praised. It is the declaring of God’s glory, power, and love towards others and us. Good lyrics preach the Good News of God and Jesus to a needy and dying world, and such powerful tools of God’s grace and love ought to be beautiful and yet assessable to a believer and his children. They also thank God publically to the Glory of God. Because God desires us to give our best (and He deserves it) -all things considered- in a responsible way, so music must flow from this premise and be good. We must remember that its purpose is to praise God in the ears of those who hear, and yet able to be memorized so that it can be sung even in private. It is the river that the doctrinal lyrics must ride, so it must not distract but add to the power of the words and their truthfulness about God. Because musical worship is about God, and flows from the truth about Him and His working in this world, it should declare such things primarily through its lyrics. In consideration that those listening may not know anything about God (or very little) it is appropriate that the lyrics inform and instruct those in the truths from which true worship flows. I see no point in singing anything, if the words themselves do not inspire me more to worship God, and perhaps give reason why the non-believing listener ought to as well. So my biggest beef with contemporary worship is with this teaching component (but with a little from most of the others). For the most part I find the majority of contemporary (and some older and even ancient) songs to be full of redundantly trite lyrics, simplistic music, and vapid theology, with a narcissistic purpose. Of course you have some old songs, which rob the listener of any joy they should have gotten from the rich theological lyrics and even some who’s music inspire praise while the lyrics make you wonder why this song has survived 10 years let alone hundreds. To reference my title, I think the best worship songs are those (enclosed inside decent music) with lyrics I like to call “Exegetical Lyrics”. These are lyrics, which preach the Word of God, so that even someone who knows nothing about Christianity or God will learn the primary reasons why we are Christians and God should be worshiped. In other words the listener will not have to bring any of his own ideas into the song to worship God, but rather finds all he needs to worship God in the song. To make this point resonate in your mind, let me put it yet another way. The best type of worship song is one, which teaches the singer as he sings it, about God, the Gospel, and Grace, so that he is further compelled to worship such a great God. Those songs, on the other hand, which assume the Christian already knows why he should worship God, so that they do not tell him very much more why he should, but basically command him to or encourage him to worship subjectively out of his own heart, not based in external truth, are the songs I despise. It seems to me that such songs are more songs about legalism than grace, and subjectivism rather than truth, so that the lessons the listener learns is that what is in his heart is most important and what he does matters ultimately; this directly contradicts Scripture, where it is taught that Grace and what God does is what matters, while our hearts are deceptively wicked. I think part of the problem is we do not question our hearts like we should, and we think the theology that we find in our hearts is more pure than the theology external to us: of the true Church found throughout history. We also assume the Gospel (another great blog subject for another day), and treat it like its children’s milk: mature people don’t need it anymore, they need meat – while all along the Gospel is the meat we need day in and day out. Let me quickly give you my thoughts on the top 5 contemporary Christian worship songs as found through an Internet search. 1)	Mighty To Save – Ben Fielding. A great title in my opinion. I actually like the music to this song, it is refreshingly good for a contemporary song. It does talk about God saving and our need of it. However, it is full of Christianese, never mentions sin or a bloody cross. My feeling is that a Christian will have to bring more into this song than he will get out, and thus it is a chance for subjectivism and ultimately works righteousness to reign instead of Christ. Over all not horrible and worth singing over many others, but not a shining example of the perfect worship song. 2)	How Great Is Our God – Chris Tomlin. Another great song musically, and great title. I really do enjoy the tune. However, I find the lyrics too often repeated, and although it does declare some great truths about God the only reference to Jesus’s work on the cross is the words “Son” and “Lamb”. Except for the Trinity part, this song could be sung by a few other religions. Perhaps it is completely unreasonable but I would like to see a reference in some sort to the Gospel (which includes the cross and sin) in most every song, I mean isn’t this the primary reason we have for worshiping this God (as Christians) apart from Him being God? The fact that Islam, Mormons and Jews can sing this song (if the Trinity part is taken out) troubles me. 3)	Blessed Be Your Name – Matt Redman. Another song with a decent tune, and another one with a great title. I must say I do like the theme of praising God in the good and bad in this song. However, this song (if read by an ignorant person of Christian teaching) comes across as a person who blindly follows this God through thick and thin based on his own choice, and perhaps for masochistically stupid, unknown reasons. I wonder where in this song are we given good reasons to follow God in the bad times? Again it seems that this song demands more from the listener than it gives, and thus it requires the listener to bring in his own theology (which may or may not be good). Probably the weakest of the songs so far. 4)	Here I Am To Worship – Tim Hughes. Already the title has me concerned. Again this song is ok music wise, not as good as the others I have talked about so far – perhaps that is why it is number 4. One issue I think this song has is it can’t make up its mind if it is about God or the person singing. In the chorus, the first 3 lines are all about the singer, and the last line makes it sound like the singer is the judge of what is wonderful. Again this song could be sung by many other religions except for the line “To see my sin upon that cross”. Again there is no real discussion on why God is worth praising, or what sin is, or what the cross really is. Once more we have a song that requires more from the listener than it offers – I hope you know what I mean by that, by now. 5)	Everlasting God – Brenton Brown. Like all the songs before, it doesn’t teach bad doctrine, it just doesn’t teach good or complete doctrine. More so than any of the other songs reviewed this song could be sung by many other religions without any modification. Do you catch that? This song has nothing inherent in it that makes it a Christian song! The music is ok, but this song is too short and repetitive in my opinion. There is no mention of anything about God that sets him apart as the Christian God, and once again this song (more than all the others) demands the listener to bring in his own theology with him rather than teach him. In conclusion I do find many contemporary songs to be quite acceptable and well done. Like “In Christ Alone” by Stuart Townend and Keith Getty, which I find amazing and equal to any ancient hymn in both powerful music and awesome lyrics, please check this one out if you want an example of a great contemporary worship song, this one should last until Christ comes back and beyond! Notice how Gospel and God focused it is. How it teaches the Gospel and requires little from the listeners and gives much more than it requires, and the tune is catchy as well! My overall desire isn’t to make everyone just like me (unless I am just like Christ – but since I am not – strive to be like him and only like me in where I am like him, and where I am not, forget me and be like him…or in short be like Christ) but rather as God wants us, like Christ. Even if you don’t agree with me, I hope this discussion will provoke you to thought, and encourage you to either write better worship songs, request better worship songs, or lead better worship songs. In every case I hope that we will be more focused on Christ, and His work on the Cross, less on ourselves, and always reminding everyone, everywhere of the Gospel. Sola Deo Gloria!